I had read “Autobiography of a Yogi“, which was published in 1946, when I had started to practice Yoga in mid 20’s. 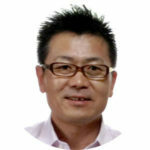 It had given me the deep understanding about Yoga and the human nature as a holistic being. It has been my favorite book since then. He wrote many of the extraordinary stories he had experienced and the lineage and legacy with his Gurus. The guru means not an ordinary spiritual teacher, but one who has attained union with God and is therefore qualified to lead others to that goal. The brand new documentary film has been released in oct 2014 which was stretched the dimensions of the Autobiography of a Yogi. It was filmed over three years with the participation of 30 countries around the world, the documentary examines the world of yoga, modern and ancient, east and west and explores why millions today have turned their attention inwards, bucking the limitations of the material world in pursuit of self realization. By evoking the journey of the soul as it pushes its way through the oppression of the human ego and delusion of the material world, the film creates an experiential immersion into the unseen realms. The AWAKE is ultimately the story of humanity itself and the universal struggle of all beings to free themselves from suffering and to seek lasting happiness. 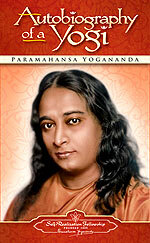 Paramahansa Yogananda is considered one of the preeminent spiritual figures of modern times. He brought yoga and meditation to the West in the 1920s and authored the spiritual classic “Autobiography of a Yogi“, which has sold millions of copies worldwide so far, for seekers, philosophers and yoga enthusiasts today. The book is known the only book that Steve Jobs had kept on his iPad. He is now widely recognized as the “Father of Yoga in the West“. He founded Self-Realization Fellowship (1920) and Yogoda Satsanga Society of India (1917), which continue to carry on his spiritual legacy worldwide under the leadership of his western disciples. By personalizing his own quest for enlightenment and sharing his struggles along the path, Yogananda made ancient Vedic teachings accessible to a modern audience, attracting many followers and inspiring the millions who practice yoga today. 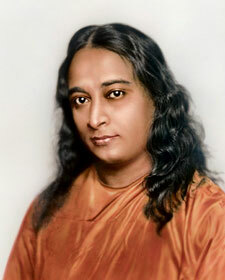 Paramahansa Yogananda has profoundly impacted the lives of millions with his comprehensive teachings which was the science of Kriya Yoga meditation, the underlying unity of all true religions and the art of balanced health and well-being in body, mind, and soul. The teachings and the meditation techniques he taught are available today through Self-Realization Fellowship Lessons a comprehensive home-study series originated by Yogananda and his disciples. No matter what religion you belong to can benefit from the spiritual teachings.